August ’15 marked another wee step in my quest to understand better the more remote parts of the country. 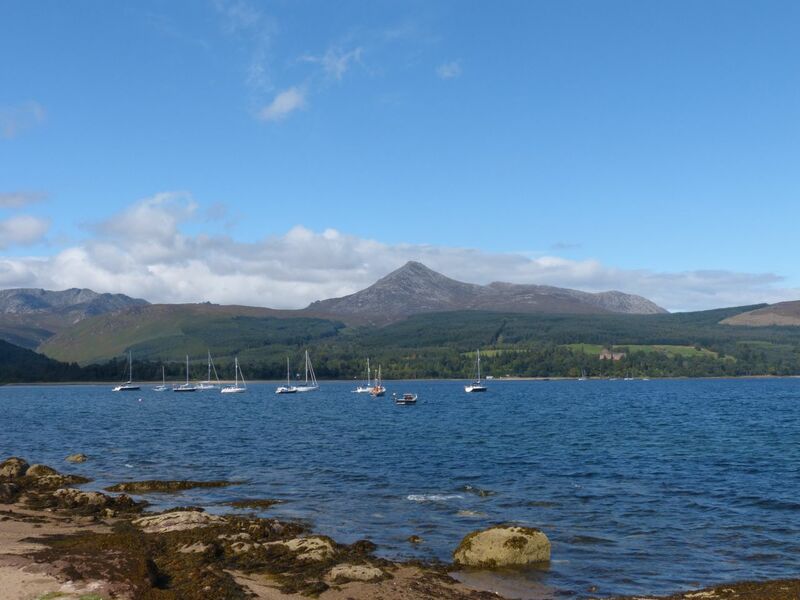 Last year I managed Arran. It’s not exactly remote in my mind, but to most folk places are remote if you have to catch a ferry to get there. There’s a bridge now, but you can still take a ferry if you prefer. 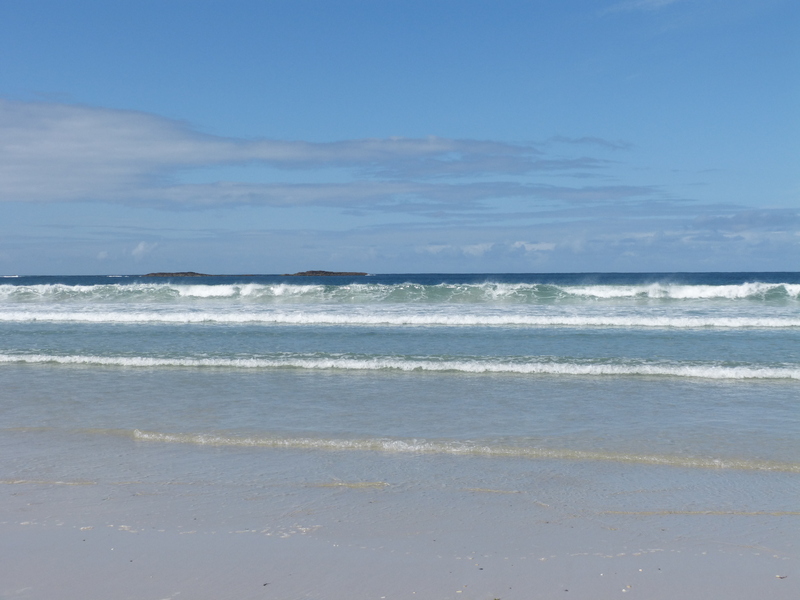 This time it was Tiree. Part of the Inner Hebrides, but quite far out into the Atlantic. I was limited in my choice by having to fly – Dr D would be with me and she has no sea legs. With two flights to pay for, I was looking for a good deal. FlyBe/Loganair supplied that. £85 each return for a two night stay in August, flying from Glasgow. Loganair has been serving these island destinations since the 1960s, and operates as a FlyBe franchise at the moment. What a great choice Tiree turned out to be. Our B&B was top class, with a spectacular beach at the front door. The island is beautiful and fascinating. It’s hard to imagine a place more different to the mainland. Tiree is 10 miles (16 km) long. It is 103 miles (165 km) from Glasgow by air. The ferry takes 4 hours from Oban. The population is about 120 and rising. About one third of them speak Gaelic. 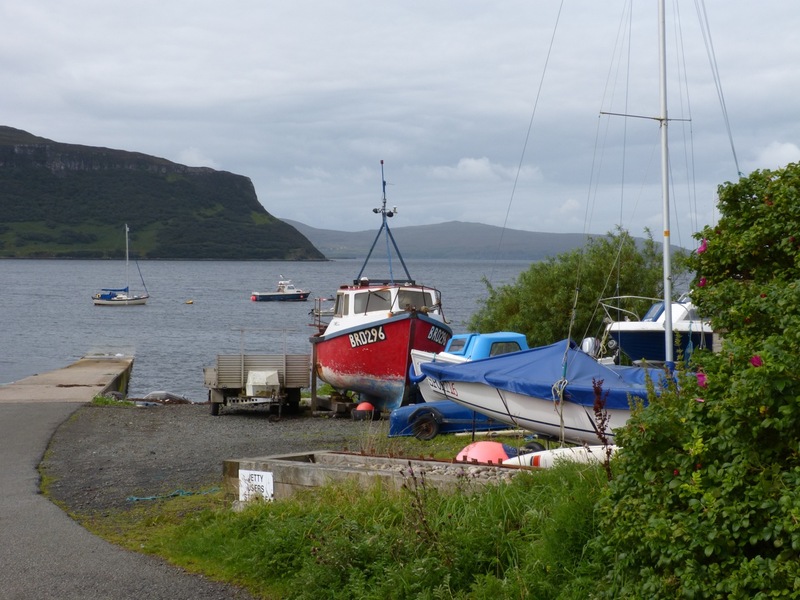 The island has nothing as large as a village – just a few settlements like Scarinish, where the ferry arrives. Scarinish also has a bank (no ATM), a garage/filling station and the island’s mini market. The mini market (a Cooperative branch) seemed well stocked and opens on Sundays. 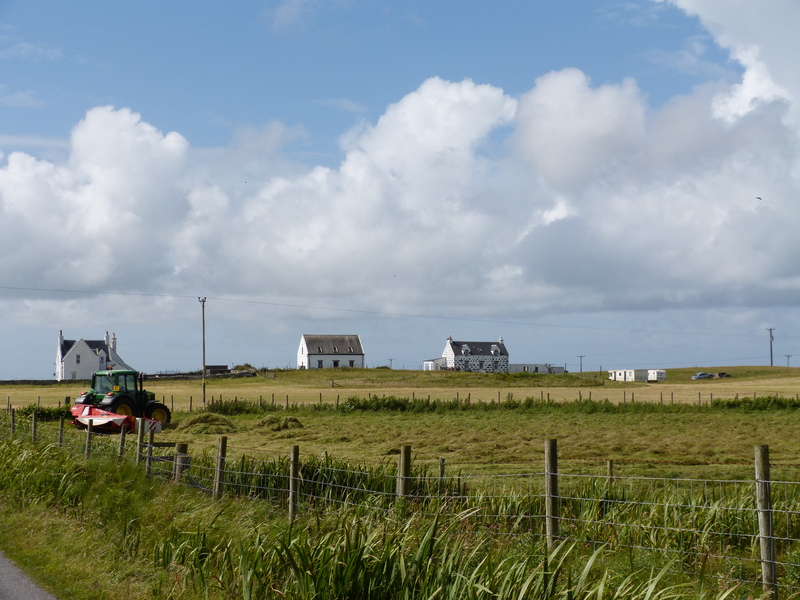 Tiree is wonderful for walking and cycling. We did 3 long walks – lucky the weather was kind to us. I will have many good memories, but one will be lying in bed at night hearing only the sound of waves breaking gently on the nearby beach. 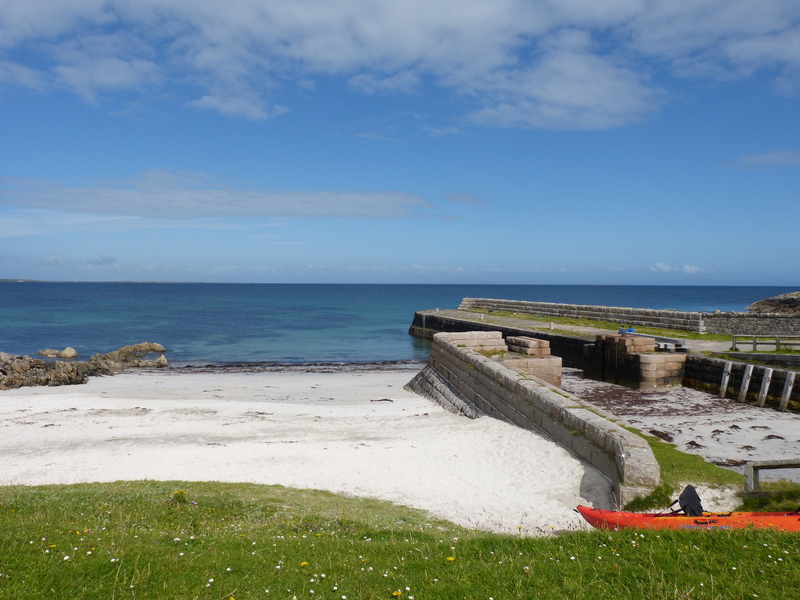 This entry was posted in island life, Uncategorized and tagged airlines, Arran, Island Life, Skye, Tiree. Bookmark the permalink.